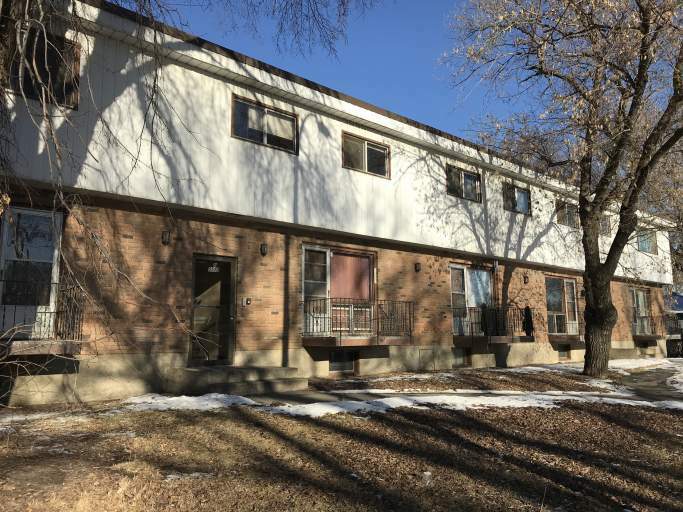 Fantastic building located in Northeast Edmonton offering easy access to Northlands, Coliseum LRT Station and Wayne Gretzky Trail. Surrounded by various schools, park and amenities, including the restaurants and cafes that line 118th Avenue, this area is the perfect place to call home!! And with a bus stop just in front of the building and LRT access within minutes any commute would be a breeze! Each unit offers a large living room with tons of natural light, a functional kitchen complete with plenty of cupboard and counter space and full size fridge and stove. The main floors also offer a half bathroom and access to a small front balcony. The upper levels feature two large bedrooms plus a full bathroom with tub shower and a storage room. The basements are unfinished and perfect for your storage needs! Each unit offers its own furnace and hot water tank, which means no more shared utilities! Parking Stall included in with each unit. Call today to view an available unit!